Stallion Exclusive Lodge is an exciting and rare collection of new-build apartments for sale in Megeve, French Alps. Spread across five chalet-style buildings these rare new residences are competitively priced and enjoy a private yet convenient location. 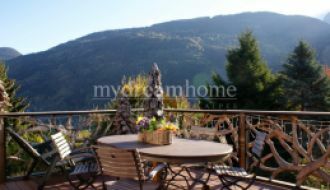 Nestled in the quiet area of la Rochebrune, just a 4-minute drive from amenities including bars, shops and restaurants, these apartments are close to the pistes and the Rochebrune ski lift (750 metres). As Megeve is part of the Evasion Mont Blanc ski domain, Stallion Exclusive Lodge also benefits from stunning views over the surrounding mountains with some apartments including bedrooms boasting views over Mont Blanc. What makes these apartments unique? 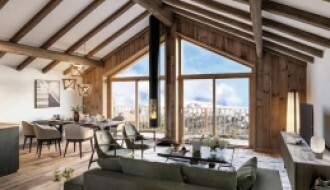 With space being limited in Megeve, new-build projects such as this are a rarity. In fact, it is hard to come by any existing premises big enough for redevelopment that can accommodate such a series of modern, high-spec apartments. Thus, this project presents a unique opportunity for a contemporary apartment in Megeve. A variety of services are also offered with each purchase. These include a concierge, communal swimming pool, spa area including steam room and sauna, gym, ski lockers, large cellars and underground parking spaces. Buyers will also be able to take advantage of additional services on demand including sports coaches, babysitting, personal event organisation, taxis, culinary services, hairdressing and many more. 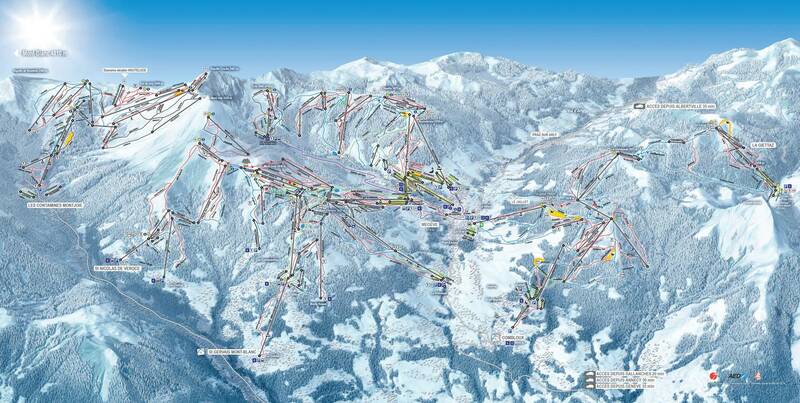 Properties in Megeve can reach up to E20,000/sqm, whilst these apartments are below the E10,000/sqm mark. Therefore, this project presents a sound opportunity for families or investors seeking to purchase a well-valued product in a reputable ski domain with a high level of finishes, facilities and services. 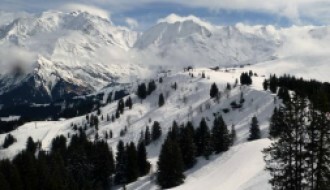 Megeve is an attractive area as it is part of a large ski domain interconnecting the village with Saint Gervais and Combloux, giving ski aficionados the opportunity to enjoy more than 400 km of pistes. The resort attracts more and more tourists every year and thus investors can benefit from rental yields all year. The concierge service coupled with our rental management services company, Athena Collection, will allow you to be flexible and accrue income from rentals even if you are not on site. The apartments, ranging from studio to five bedrooms, are spread between five chalets on three floors. The architecture of the project is modern yet perfectly integrated into the traditional environment of Megeve. All apartments have exterior space to take full advantage of the surrounding mountain views. Inside, the apartments range from 37 to 170 sqm with modern, spacious finishes and many facilities on offer in the communal spaces. Two phases of construction will take place: three of the chalets will be delivered on Q2 2020 and the rest will be delivered at the end of the same year. With a large ski domain of 400 km of pistes, Megeve is perfect for ski lovers that are looking for not only the sport but also amazing views over the Mont Blanc. Dating back to 1920, the resort was created to reflect the best Swiss ski resorts in a French environment. Megeve today attracts a creative, innovative and stylish community seeking to live the true French art de vivre.